Alton P. (Pete) Jensen's web pages. We should all share our dangerous ideas. It is undesireable to believe in a proposition when there is no ground whatsoever for supposing it true. 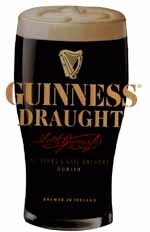 Don't forget, Guinness is good for you. Attention Telemarketers: I do not allow organizations to use my name or to contact me to make solicitations other than as permitted in my Junkbusters Declaration. Allen Jensen has started working with the semantic web. My RDF is at http://purl.org/net/ajensen.